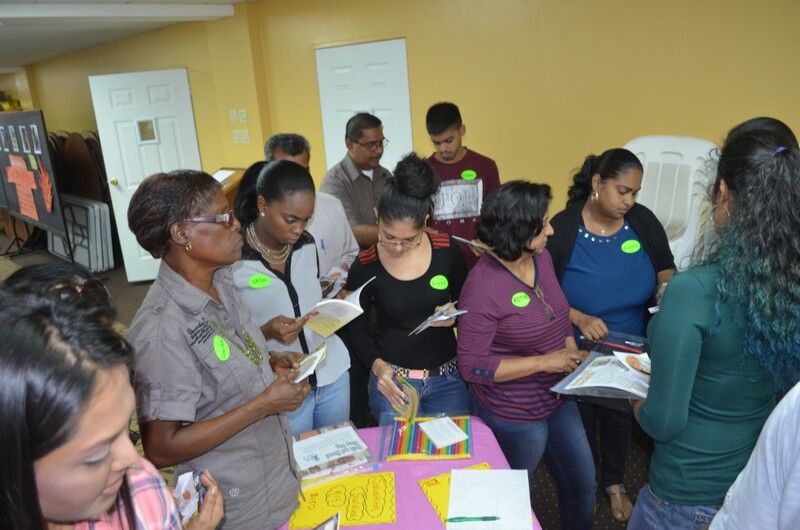 Over 150 people came to two days of training and encouragement in the Caribbean island of Trinidad near the coast of Venezuela. Good friends, Dane and Rosemarie Brooker organized the event for children’s ministry leaders and pastors. Friday night included a class/concert on how to lead children in authentic worship. We share music from various artists and talked about the role of children’s pastor as worship leader. The class encouraged leaders to have a develop a philosophy of worship and provided tools on what to consider both theologically and practically. The Friday night training was very well attended and we danced the night away using our bodies as ‘instruments of worship’. Saturday was a full day of training with classes on creativity, communication models, God Rod and other movement techniques, affirming boys in manhood, and chronological Bible storytelling. About 100 people gathered to get training and resources to help them in their various ministries to children around the country. I was amazed at how intently they listened for an entire day! The weekend concluded with worship at a local church on Sunday morning where we incorporated the children and blessed the ministry leaders working at this small church outside the capital city of Port of Spain. It was a short, but very effective ministry trip with strong possibilities of follow up in the near future. My sincere thanks to Dane and Rosmarie who were wonderful hosts and my good friend,, Rex who provided accommodations for my visit. Dane and Rosemarie Brooker of Penal, Trinidad. Rosemarie travels extensively to get training and resources for children’s ministry leaders. She is an area representative for Christian Evangelism Fellowship (CEF). I first met the Brookers during the early years of CPC. While we were there, Dane was recognized by his employers for 35+ years of faithful service. He will retire in the near future. Rosemarie also has 35+ years working in the education system in Trinidad. She is an elementary school teacher there. They are very active in their local church serving in children’s ministry and ministry to couples. Please pray for the Brookers as they prepare to transition into new areas of ministry. After lunch, participants learned a ‘God Rod’ stick ministry routine for Christmas to a song by Mark Shultz called “When Love Was Born”. The participants picked up the teaching quickly. Over 70 people participated in the God Rod training. In the space we were in, it was amazing that we all survived! ​Conference participants were eager to check our resources and materials that we made available. Thanks to the donations of folks like YOU, we were able to make these resources available at prices well below what we would sell them for in the states. We also gave away a lot of materials and blessed our hosts with a set of everything we brought. Your donations to Jeff Smith Ministries not only provides me with resources to get to these places around the world, but also to leave them with materials they might not otherwise get to have.